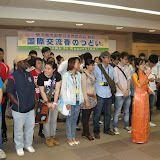 Kagoshima International Exchange Party is hold on 28th May. We tried to have Japanese culture such as wearing KIMONO, IKEBANA,ORIGAMI and so on. 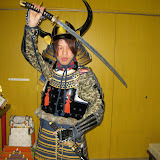 We went to REIMEIKAN museum to be a SAMURAI!! it's very heavy for wearing YOROI and KABUTO but We enjoyed it!